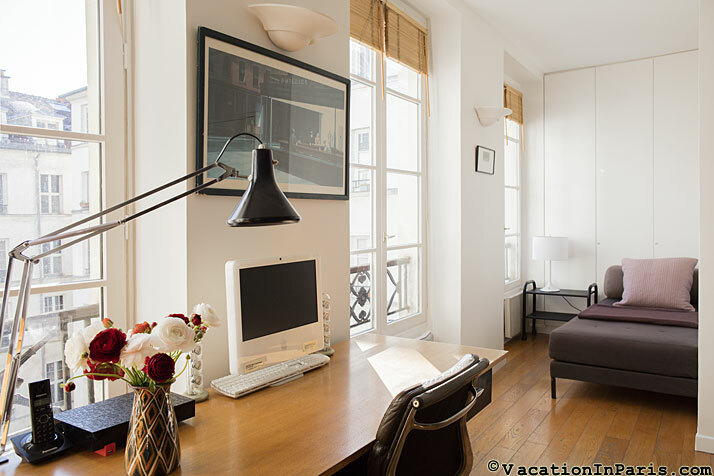 This large Parisian one bedroom is a haven located in the very heart of historic Paris. 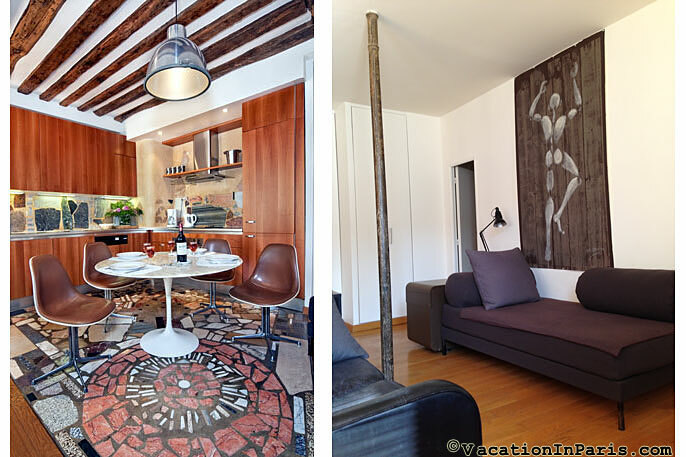 Just a half block from the famous Place de la Bastille and a short walk from the beloved Place des Vosges and trendy Marais. 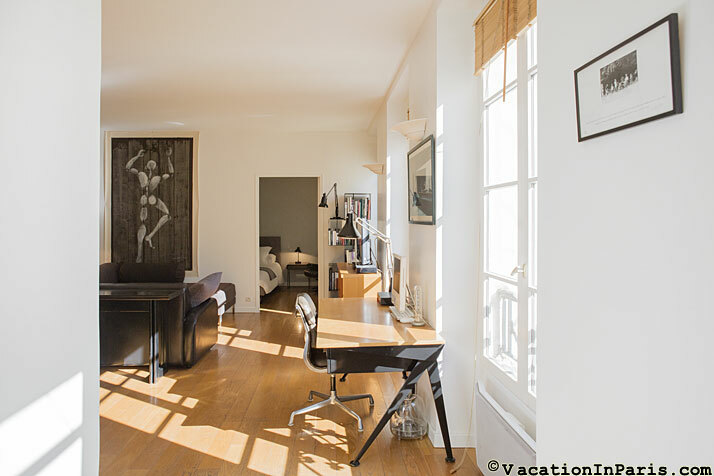 This is the perfect vacation rental apartment for a truly Parisian living experience in the heart of the dynamic and cosmopolitan district of Bastille. When you arrive to this apartment you will pass through a large, quaint cobble-stoned courtyard, and up 3 flights of stairs to your chic, sunny home. Lovingly decorated with high end furniture, this airy loft will surprise you with its quiet, calm atmosphere while being in the middle of it all, with trendy restaurants,cafes and bars right at your doorstep. 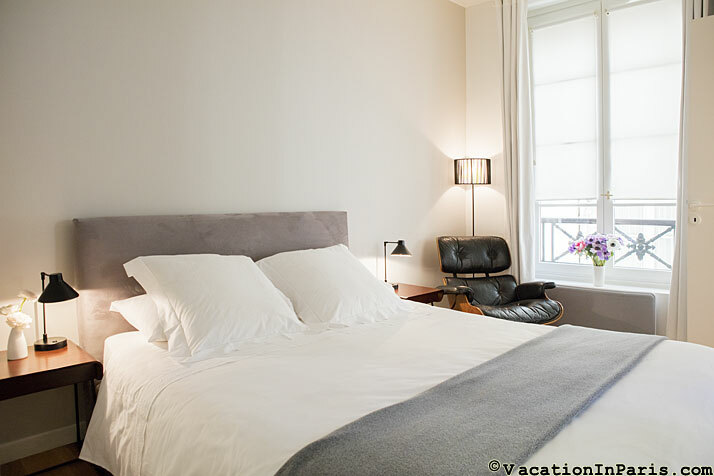 A short walk brings you to the historic Place de la Bastille and less than a 10 minute walk to Place des Voges. 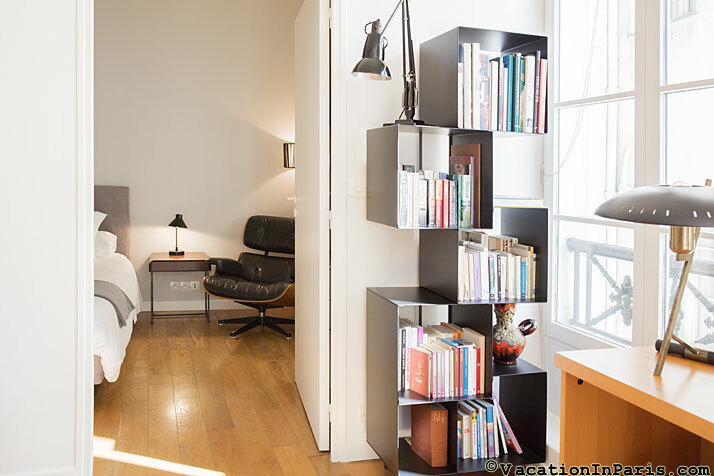 The central location is just a 2 minute walk to metro Bastille lines 1, 5, and 8 for quick access to the Louvre and the Eiffel Tower as well as other tourist destinations. The bus stop right in front of your door takes you to the St. Germain area in minutes. There are also taxi stands and bike rental stations in the immediate area. The famous farmers markets at Aligre and Richard Lenoir are a short stroll from this location as well. 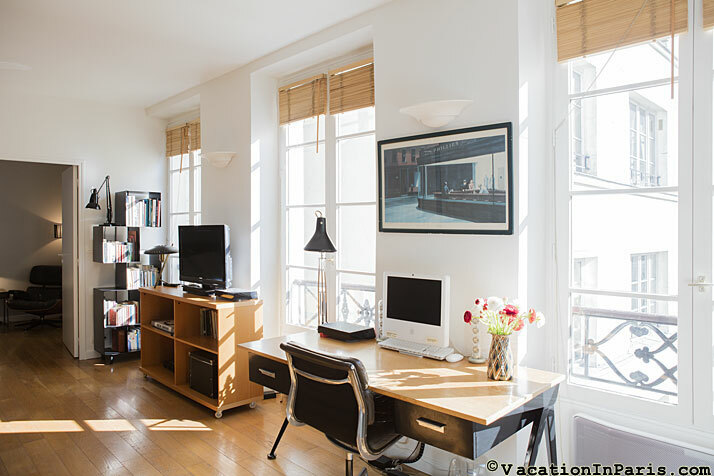 Bright and quiet with a southwest exposure from five large windows overlooking a courtyard with green trees and flowers during summertime. This comfortable single bedroom apartment has a floor space of 65 m2 (about 690 ft2) and will accommodate up to 4 people. Located on the 3rd European floor (4th US) of an 18th century building, it boasts high ceilings and hardwood floors and a spacious open concept layout. 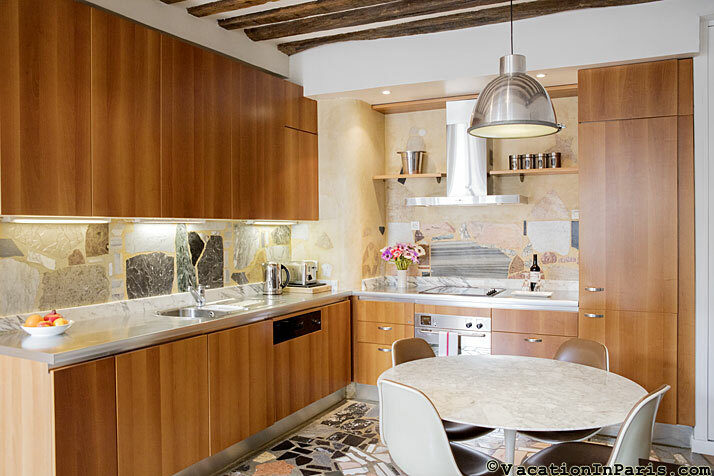 The open marble and stainless kitchen is well equipped for even the most discriminating 'foodies'. 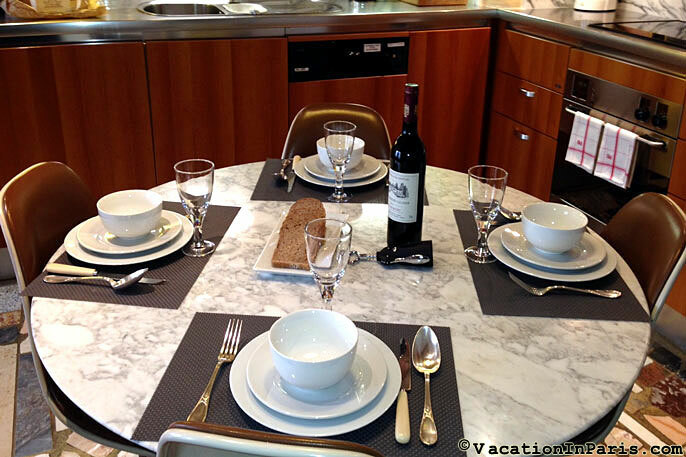 The dining table allows for seating up to 6 guests. 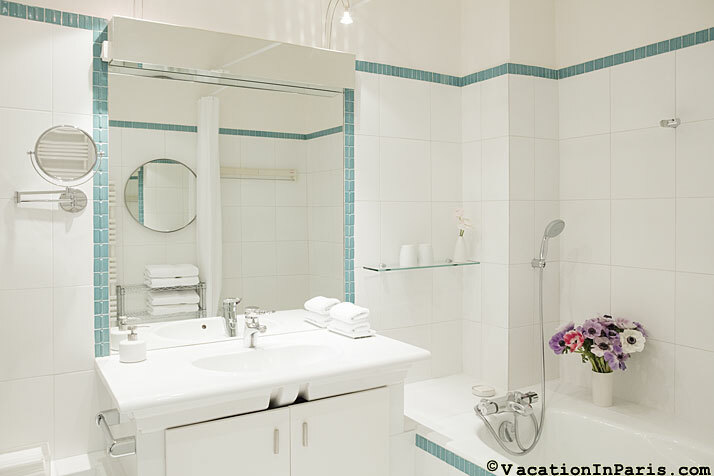 The pristine, large bathroom is accessible from both the bedroom and the living area. The master bedroom offers a high quality queen size bed while the living area is fitted with 2 elegant deluxe day beds and a pullout sofa. 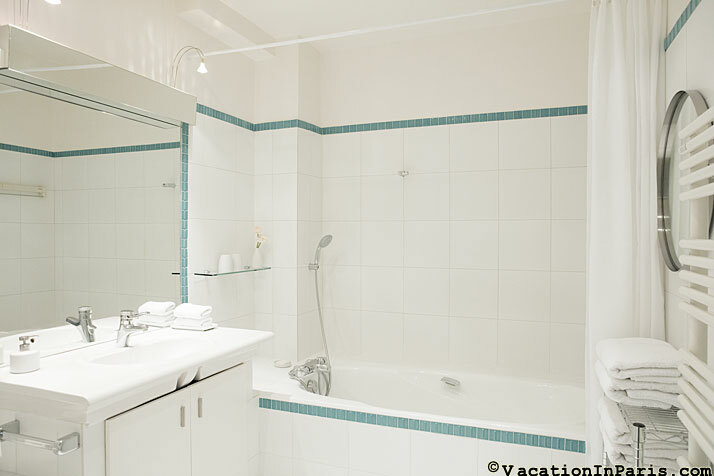 We are sure you will enjoy this comfortable and quiet vacation apartment in the heart of this lively up and coming area. The owner kindly requests no children under the age of 10 years. Starter supply of detergents, coffee, tea, sugar, etc.